If you’re planning to move your enterprise to another site, hiring movers to provide business moving services is a must. 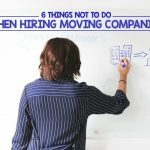 Specifically, if you’re running a big company and needs to get the relocation done in a short period of time. Whatever your reason is of having a company relocation, it’s better to let the experts handle and do the hard task for you. Because doing it on your own for the first time without having the idea of how to do it properly can lead to much bigger problems. That’s why having business moving services in your aid can help minimise the downtime of your business. But the question is, how can you guaranty that relocation in a short period of time is possible when you don’t have an idea of how it’s done? Worry no more though! 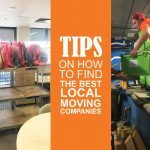 When you’ve already realised that you need help from experts and starts to look for moving company, then this article is right for you. Below are the easiest ways on how to choose the right business moving services for you. First things first, do some research. Look for a company that can give reliable and good-quality business moving services. Because aside from moving the furniture such as tables and chairs. You have to move as well your internal information and even source of technology. Apart from doing your own research, you can seek advice from your friends and relatives who already experienced relocation. That’s one of the easiest ways to find a dependable moving company for you. Once you’ve already figured out the company that you want to for you, then it’s time to give them a call right away. Ask for some details about their offer like if are they capable of providing their own equipment or contract out. If how many movers they have and do they have insurance and license to operate. Just in case if something unfortunate happens, you don’t have to pay for the medical expenses. And don’t ask for estimation over the phone! Let them see first your items that need to be moved out. When they’re finished, that’s the only time you will know how much is the budget you need to allocate to it. As mentioned above, it’s necessary to ask them to check your area to see everything you plan to relocate. The more specific you are with it, there’s a huge chance you’ll get the accurate estimation you need. When you’re already informed about the estimation, make sure that you’ve understood it completely. If you’re not sure about a thing, ask them to explain it to you. In this way, you can make sure that everything is clear. There’s nothing wrong about asking additional questions about the contract and other matters that are related to their services. Lastly, for much better security and assurance with the company, check online if they’re really legit to operate. The purpose of this is to avoid future problems as well as getting tricked by them. Of course, you don’t want that to happen. So, be sure to always find the most reliable business moving services that you could count on! Finding the right and perfect moving company is necessary for your move. You’re not only spending money to it but as well as your time and effort. Your business operation is also at stake since there’s a huge chance of hiatus when it takes place. You have to consider that there are other things you need to take care of. Like leasing for a depot for the stuff you no longer need but still want to keep. As well as the welfare of your people who works for you. So, making sure you got the right help from the right team is advisable.